Latin America is seldom in the U.S. news these days. The announcement of Hugo Chávez’s death has been an exception, with TV news networks devoting days to the coverage and analysis. The upcoming April 14th presidential election will also attract considerable media attention. Despite this focus, I have yet to read any analysis or recommendation on how to help Venezuelans regain their lostrepublican liberties and prevent the Argentine scenario of decades of “Peronism without Peron.” This is my attempt. In 1999, while I was packing for my first trip to Venezuela with Chávez as president, he issued a warning to our scheduled keynote speaker: “We are waiting for you with lead.” “Lead” in that context in Spanish means “bullets.” Our speaker was noted writer and anti-totalitarian crusader Mario Vargas Llosa. Vargas Llosa had realized early on that Venezuela was embarking on a dangerous road. Despite the threats and the challenges, we survived that trip. Chávez even allowed his former Vice President, José Vicente Rangel, to speak at the meeting. I was the moderator of Rangel’s presentation, and later shared a panel with current presidential contender Henrique Capriles. At the time Capriles was only 27 (Capriles was born in July 1972) and already president of the congress. We returned to Venezuela in 2009. During that trip Chávez did not wait for us with lead. He waited for us with Cuban-trained agents in the passport control offices. They harassed and detained Mario Vargas Llosa for hours in the airport. Chávez then launched a non-stop, 24-hour TV program, carried across the nation, devoted to highlight and criticize our groups on national TV. Never in history did a think tank garner so much attention. Chávez only stopped after Mario Vargas Llosa challenged him to a debate which he declined. Chávez’s goal was to use the occasion not so much to frighten us, but to further divide the country by catering to the gullible masses. These behaviors might win him support at home but not necessarily abroad. Latinobarómetro, which conducts the most respected regional opinion surveys, reported that in their polling the now-deceased president appeared as one of the most unpopular Latin American leaders. Even in left-leaning Argentina and Bolivia he scored just above four out of 10. The Chávez regime has been able to buy the allegiance of many country leaders but not that of their populations. Democratic dictatorships, unfortunately, have discovered and perfected a magical elixir that has nourished their “success”—dividing the country in two groups, those who benefit from the government and those who do not, while making more and more people dependent on the state. This happened with Juan Domingo Perón in Argentina, is happening in Venezuela, and might be coming as well to the United States. Ranked as one of the leading think tanks in the region, CEDICE has an outstanding portfolio of programs to educate civil society. Some of its programs, such as their TV commercials, focus on immediate threats, others, on helping prepare future leaders. An indirect way of supporting is by expanding business deals with the companies and donors of CEDICE. This is a truly “free-market” method to promote liberty. Founded and led by Thor Halvorssen Mendoza, the HRF is a nonpartisan organization devoted to defending human rights globally, with an expertise in the Americas. Halvorssen was born in Caracas in 1976. The diversity and prestige of the HRF board and the commitment of their staff, leaders, and allies, gives them considerable credibility in the struggle for human freedom and individual dignity. The Oslo Freedom Forum, which will take place inmid-May in Norway, helps highlight human rights abuses to a respected international crowd. Think tanks that are beyond the reach of the local government can also play a role. 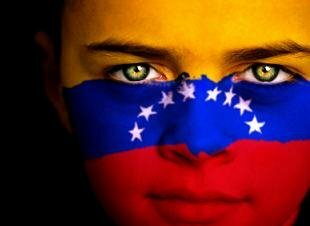 The Venezuelan focused efforts of the Cato institute’s Center for Global Liberty and Prosperity are a prime example. Its leader, Ian Vásquez, has organized several student conferences in or near Caracas. In 2008, Cato gave its more prestigious award, the Milton Friedman Prize, to Yon Goicochea, the young Venezuelan democratic leader. Yon was 24 at the time. Several regional websites, such as the Hispanic American Center of Economic Research (mostly devoted to Latin America), La Prensa Popular, El Ojo Digital and in Europe El Diario Exterior, and Libertad Digital also play an important supportive role by re-publishing the best articles and news items from Venezuela. Those who belong to networks that cut across social and economic classes, such as churches, brotherhoods, and international associations, can also play a relevant part. They are attacked by the Venezuelan regime, but the attacks create a negative impact which goes beyond Venezuelan borders. If your favorite church, brotherhood, international NGO, or trade or academic association has members in Venezuela, find a way to help through them. Totalitarian governments target all organizations that come between the state and the individuals that are beyond their control. If they can turn society into a collection of individuals detached from family, church, trade associations, and other independent mediating societies, they will turn “democracy” into a game of numbers. In a game of numbers, the many win. In order to capture those motivated by social motives, totalitarian regimes create organizations that appear to be “mediating” but are actually controlled by the state. During the Chavez years, the government created the Bolivarian Militias, a quasi-parallel army of street fighters. Their goal is to have more than 1,000 battalions. Under the structure of the so called “popular power law” they created their own communal and neighborhood councils. Both the militias and the councils are used not only to capture and control social activities, but also as a means of bypassing any constitutional restraint that remains in the country. The government has also progressed on its path to have its own labor unions, and—under its “Bolivarian Media and Information System”—its own media empire. Supporting their competition is a healthy investment in Venezuelan liberty. With the billions controlled by the Venezuelan government and its cronies inside and outside the country, there will be many from all sides of the political spectrum trying to seek economic and political advantage by dealing with the current regime. Lucrative consulting, lobbying, and legal contracts are offered to those who want to defend Chavez friends in the United States. One can understand that Joseph Kennedy II will trumpet the glories of Chávez, but it is sad times if those who allegedly work for republican ideals fall into the same trap. Friends of freedom should expose those in the United States who look away when the Venezuelan government harasses into oblivion the innocent victims of Chávez’s former cronies. Those of us who work for Venezuelan freedom in the United States are far away from the grip of their politicized justice. Well-paid lawyers, however, can still bring frivolous lawsuits here and challenge those who try to bring some light to the darkness of crony transactions. Working through some of those mentioned above, the interested reader should be able to find additional ways to invest in the liberty of Venezuela. I have not focused on other economic and political ways to help. I believe that a more proactive free trade policy from the United States would enhance its stance in the region. It would increase the incentives of Venezuelan political leaders to start the road back from their 21st-century socialism. In the political arena, I stand with those who stress the need for continued efforts to form and maintain coalitions. The unity of the opposition should continue even if Henrique Capriles loses the April 14th election. The road to post-Chávez continuity has been paved with billions of dollars and careful manipulation. Changing course will require intelligent investments in liberty efforts that complement other political and economic strategies. * Dr. Alejandro A. (Alex) Chafuen is the president and founder of the Hispanic American Center of Economic Research and VP of CEDICE Foundation, USA (an unpaid position).